Laws enacted by local, state, and national bodies are primary sources of public policy. Securing adequate laws for the care and protection of children and youth is one of the purposes of the organization. Therefore, PTA maintains an active legislation program. PTAs can and must participate actively in the process through which public policy decisions are made. Unit, council, and district PTAs are responsible for taking action on local issues originating in school districts, cities, regions, and counties. Follow Lindstrom PTA on Facebook and Twitter for legislative updates and announcements. Attend school board and city council meetings. 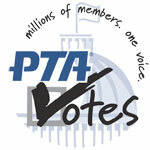 Talk to your local legislators about PTA legislative priorities. Educate you local legislators about how their actions impact your children and schools. Sign up for PTA Legislative Alerts and respond when requested with letters/phone calls to your representatives and local newspaper. Find My Legislator – Find your state representatives using this search tool. As part of the new Local Control Funding Formula (LCFF), school districts are required to develop, adopt and annually update a three-year Local Control Accountability Plan (LCAP). Parents are being asked to participate in the planning process as members of a Parent Advisory Committee (PAC). There is no current meeting scheduled. We will update this site when new information is received.